Business schools and their rankings are as interlinked as Paris and its Eiffeltower. Billions of websites are scoring worldwide MBA programs, each using their own parameters on deciding upon their number 1 business school. Some of the most renowned rankings include the ones from Forbes, US News and Businessweek. They will typically rely on data such as salary gains, surveys amongst students and recruiters, GMAT and GPA scores and average salaries post MBA. But here’s a though – if a business school is about teaching students on how to be ‘successful in business’, shouldn’t we rate business schools on how well they are at doing business? Which program would top the ‘B-school business model’ ranking? Let’s see what the data say. In 2010, HBS recorded a revenue of 467m$. Almost half of this revenue came from tuitions fees – Exec and MBA. Nearly one third came from Publishing. Another 24% was gathered through endowments and gifts. It’s this last part that left me rather curious. 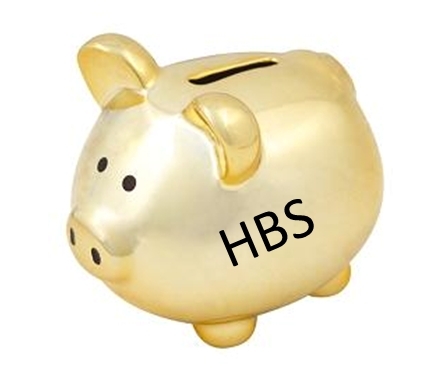 HBS has about a fourth of its yearly revenue depend on dotations, raised by 1,000 discrete funds established over the years by individual donors, corporations, and reunion classes. 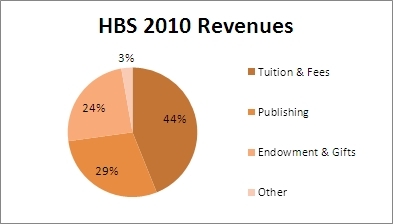 Graph 1: HBS 2010 Revenus (source: financial results on hbs.edu). Not surprisingly, the cost-base of HBS is headcount-driven. In 2010, 50% of operational expenses where linked to salaries, a bit over 200m$. Splitting this amount equally over the about 1000 FTEs (full-time equivalents) employed by HBS leaves each of these FTEs with an average yearly salary of 200k$. It’s not the most statistically correct analysis to use in this case, but it’s a quick and fun calculation to make. 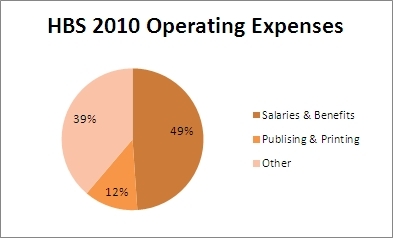 Graph 2: HBS 2010 Expenses(source: financial results on hbs.edu). With more than 50% of its revenue being generated from sources not related to tuitions, HBS inc. has a great competitive advantage compared to some of its closest competitors. From the available data found, Stanford (revenue of 155m$ in 2011 – a third compared to HBS) nor Wharton nor Insead (6m EUR of dotations in 2010) nor any other business school can even come close to some of HBS’ publishing revenues or endowments. 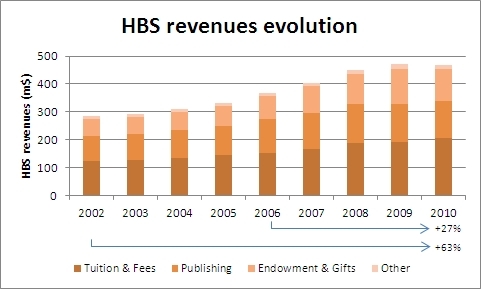 Moreover, historical trends show that the revenue base of HBS has known a sharp rise, with tuition income and endowments almost doubling between 2002 and 2010, and with a steadily growing income related to publishing in difficult times for the written word. Graph 3: HBS Revenues (source: financial results on hbs.edu). In summary, while one can question the MBA program rankings, it seems that HBS is topping the list of best b-school business model. This entry was posted in The road to HBS and tagged Business Model, HBS INC, MBA Ranking. Bookmark the permalink.